ORLANDO, Fla. – Brandon Carpenter, co-founder of Feynman Nano LLC a new company that developed a proprietary, cost-effective production process for producing nanostructure arrays, was named to Forbes’ prestigious 30-under-30 in Science listing for 2017. Every year Forbes engages an all-star group of 30-under-30 alumni and industry leaders to select noteworthy innovators and entrepreneurs making an impact in business and society. According to their website the Forbes staff determined this year’s acceptance rate was under four percent, making it tougher to achieve than getting into Stanford or Harvard. Carpenter, 25, is a graduate of the UCF Center for Entrepreneurial Leadership’s Upstarts Accelerator Program and recent Student Fellow at the Blackstone LaunchPad at UCF. His company’s manufacturing process lowers the cost of producing nanostructured materials from as much as $1000 to a dollar or less. The nanostructures are manufactured within a few seconds and are initially being applied to development of anti-bacterial materials, as well as cancer detection processes and autoimmune deficiency treatments. Other applications include self-cleaning and anti-icing. The structures are simultaneously anti-reflective and transparent providing a “smart” surface. 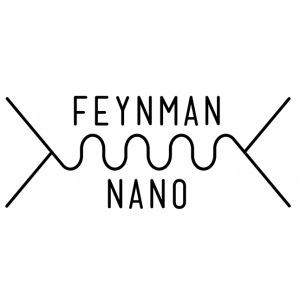 Feynman Nano, LLC is a client company of the UCF Business Incubation Program at Central Florida Research Park in east Orange County. 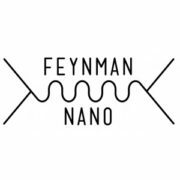 Feynman provides customized nanotextured structures using their proprietary process which is 200x cheaper and 20,000x faster than other methods. The structures are used for a wide range of applications such as repelling water, oil, micro-organisms, and ice. The structures are simultaneously anti-reflective and transparent providing a “smart” surface structure.